Aion Partners paid $30.2 million to buy out its partner’s stake in a 135,000-square-foot Midtown East office building. 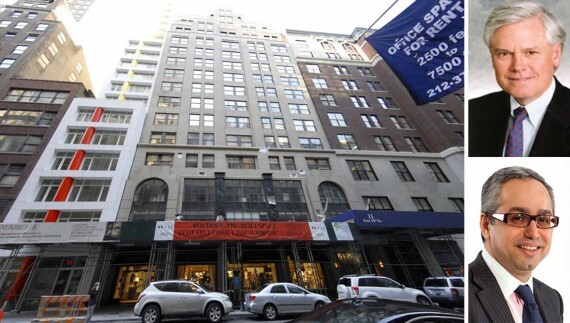 The investment company now owns 100 percent of 11 East 44th Street after buying Clarion Partners’ stake in the building, Michael Betancourt, founding partner of Aion, told The Real Deal. He declined to discuss further details of the deal, and a representative for Clarion could not immediately be reached for comment. Aion initially purchased a 77.1 percent stake in the building from Kensico Properties in December 2004 for $45.5 million. Three years later, Clarion bought into the building, though property records don’t indicate the details of that deal. In August, Deutsche Bank and SL Green Realty provided $80 million to refinance the building and acquire Clarion’s stake. The financing, which replaced an earlier $38.5 million loan, included a $65 million senior mortgage from Deutsche and a $15 million mezzanine loan from SL Green. Property records filed with the city’s Department of Finance on Tuesday show that Aion paid Clarion $30.2 million. The office building — located at Madison Avenue and 44th Street — spans 135,150 square feet across 42 floors. Brooks Brothers, which occupies 40,395 square feet, is the building’s biggest tenant. Asking rents in the building range from $36 to $65 per square foot, according to CoStar.